Although color is sometimes simple, we often need complex ways to describe it. As you have found out, the deeper we discuss color, the more intricate it becomes. This article outlines the use of Special Analysis and False Coloring, which are both a part of the Color Analyser. These are fun, but technical ways to enhance your visual experience. Special Color Analysis emphasizes certain image areas to the viewer. As explained below, these areas are exaggerated to augment the visual effect that is being talked about. Hopefully, this makes sense in the following diagrams. If not, feel free to write us at info@colorcube.com. 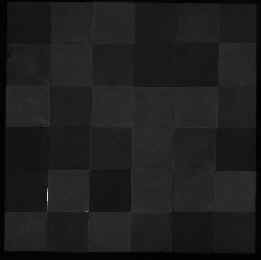 False Coloring is applied to some of the images below. This is an advanced color technique used to show how much value, saturation and chromaticity is present. The key to remember is that the color spectrum is turned into a "ruler" which measures a color dimension. Basically we have equated the grayscale to all of the hues in the spectrum. So when there is a very bright or saturated image, expect to see a lot of white and yellows when using false coloring. If the image is dull and washed out, you should see reds, blues and blacks. For value analysis, light colors will appear white and yellow; medium colors will be green and magenta; dark colors will be shown as blue or black. Once again, if any of this is unclear - please write us and we'll be happy to explain it. This image features constant saturation. All of the colors are equally saturated (semi-pure). We analyse this image in terms of hue, value, saturation, and chroma to prove this. 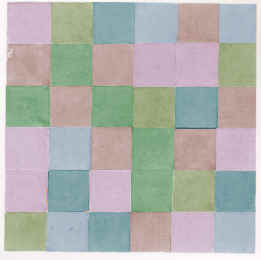 This image exaggerates the hues of each square patch. The effect is a way of increasing the distinctness of each of the colors. Place your cursor over top of this image and reveal the false color image. Overall, this image is quite dark as indicated by the "dark blue" false color reading. 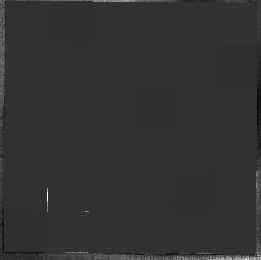 This readout also reveals that the value of the image is fairly uniform. Place your cursor over this image and see that the saturation is indeed equal. There isn't a big difference in the purples you see on this false color readout. That means that the saturation on this image is very close throughout the entire image. 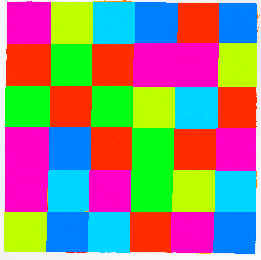 Once again, moving your cursor over this image indicates that the Chroma of this image is uniform. The greenish color means that the chromaticity of this image is mid-range.